The Galaxy Nexus may be the only Samsung device that runs Android 4.0 Ice Cream Sandwich at this time, but a whole bunch of smartphones and tablets are going to join the party in the near future. That is what becomes certain after the company posted on its Facebook page a list of Galaxy devices that are definitely getting updated to Android's latest and greatest version. The Samsung Galaxy Note and Galaxy S II will be the first to be treated to an update at some point during the first quarter of 2012. Next in line are the Samsung Galaxy S II LTE, Galaxy R, Galaxy Tab 10.1, Galaxy Tab 8.9, Galaxy Tab 7.7 and Galaxy Tab 7.0 Plus. 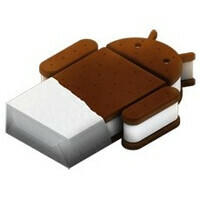 Further details regarding the Ice Cream Sandwich updates for Galaxy smartphones and tablets are to be announced soon. However, if your smartphone or tablet does not belong to the Samsung Galaxy line, that doesn't necessarily mean that it will not get a taste of Ice Cream Sandwich as well. Quite the contrary – companies like HTC, Motorola, and Sony Ericsson are also treating some of their devices to an update, so do not hesitate to check whether your handset is on the list or not. Can't wait for the it although I would have preferred a better version of touch wiz than the current one. Otherwise it would. Just cover up the beauty of. The os. If the Nexus S can run it, the entire SGS line should get it too. Unfortunately here in the US we're at the mercy of the carriers who bloated up their versions. Curious to see who gets their ICS out first, HTC or Moto...I thought Sense was the more intrusive skin. Maybe GingerBlur is heavier than we thought. Something tells me this isn't the U.S. versions. Samsung has the updates ready but the carriers screw it all up. Google should implement into the OS that EVERY app is removable, even bloatware. So that way the carriers wouldn't be able to lock their garbage into the phone, taking up valuable space. I totally agree, but can't you unlock the boot-loader and remove whatever you'd like? not to be a buzzkillington but i'd take it with a grain of salt.